DotA Theme Manager Version 2 released - Snow Theme Beta Included! DotA Theme Manager, Version 2 released - Snow Theme Beta Included! Boring with all the same background and cosmetics on Dota-Allstars map? Now you can change the background into something cooler. Actually, this things is already there on Dota-Allstars forums since a while ago, but i prefer playing Clockwerk Goblin at the time :p Watch the screenshot and be amazed! Here is some quote and note on how to install it. 1. What does this "Theme Manager" do? The Theme Manager allows you using different terrainsets in DotA without using a different map. This works by replacing the textures/models in your MPQs - WC3's Data files - itself. 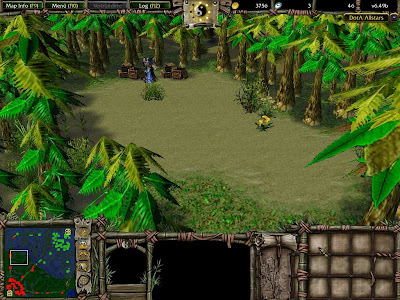 It will not only change DotA's Terrain (where it has no glitches), but also other maps. In other maps, it will look quite bad, so this is more useful for DotA. While it strongly changes the appearance of the map, it does not change anything of the gameplay - the changes are of PURE visual nature and the process is easily reversible. The Theme Manager is completely compatible with every platform/hosting program (b.net/GGC/DC/LC/Hamachi/...). The patch seems to have brought no problem at all. 3. DO NOT move or rename any of the files you unpacked. Beachpack in action - in "End Game"! As the preview screenshots show, the long awaited Snow Theme is close to being finished. -Barrens - that's what should come after snowpack. Downloads: *.rar - you can only unpack these when you have winrar, but they are much smaller. If any of these links is broken and you recognise it, please inform me. I will fix the problem asap, then. Q:Can this be made as a command like -ts? A: No, because the cliffs can not be changed ingame. Q: How does this pack work? A: It replaces the textures of terrain and trees in the MPQ. Q: Can you add a theme-fitting minimap? A: After trying this in several different ways, I came to the conclusion that it is not possible to do that at all. If you like it, you can give the maker (Infrisios) some donation in this link. Update: Dota Theme Manager Version 3 is available! Update 2: Dota Theme Manager Version 4 is available! I did everything you said and it all worked fine, until I got in-game and noticed no changes. Why? Hey This is great. Just wanted to let u all know that V3 is out with a new terrain. Saw it on Data-allstars. nothing happened when i went into the game the terrain was the same. I did everything that it said to do. Why dosen't it work? where i can download the theme manager? how would it work in windows 7..can't work on mine..only runs in 32-bit..
when i did it at 1st time it didnt work and my wc3 was crashed. I couldnt launch game but when i installed it again and it worked.